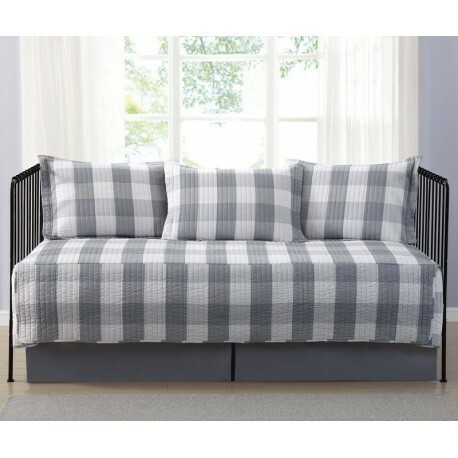 This large buffalo check print features a white background and grey intersecting pattern on the face of the day bed. The reverse and the drop on the skirt is a solid color gray. 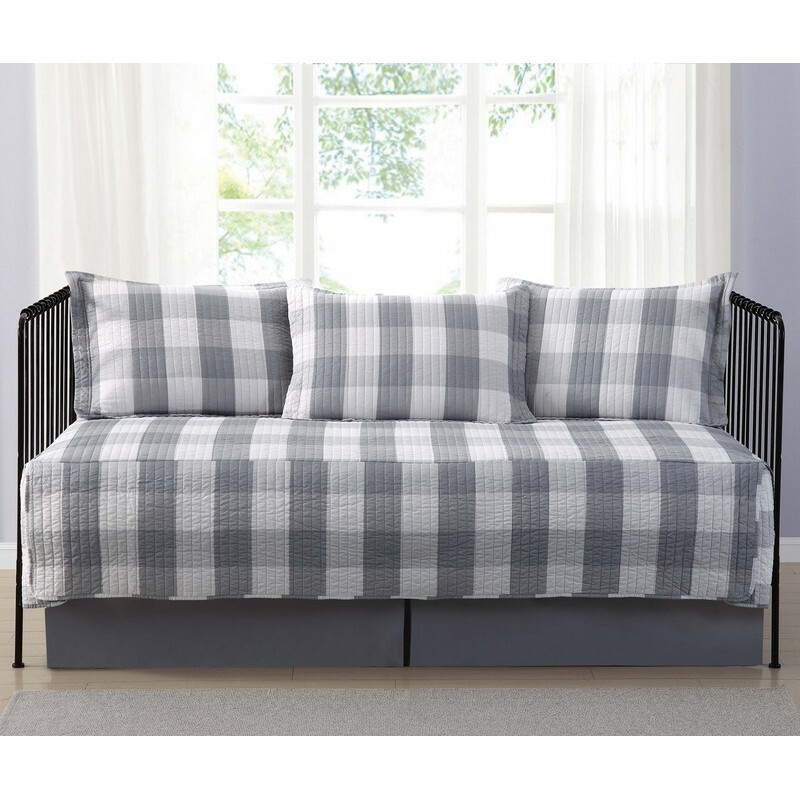 The day bed cover uses a tight machine stitch brushed 100% microfiber polyester Truly Soft fabric and is filled with 100% polyester fiber fill. The set includes three standard pillow shams to line the back of the bed. This item can be machine washed but please be sure to use properly sized machinery to care for the item.